Hello there! My name is Gellegani. I am a graduate of Elementary Education, Major in General Education at Negros Oriental State University. I have been teaching students for almost 7 years up to the present. I’ve been tutoring ESL students for almost one year until now. I chose NativeCamp because they care about the Students and the Tutors. I am a compassionate teacher and very patient to teach students in learning English as the Second Language. I’m too excited to see you in my class. Let’s have fun and enjoy the time with me and surely you’ll not fail. 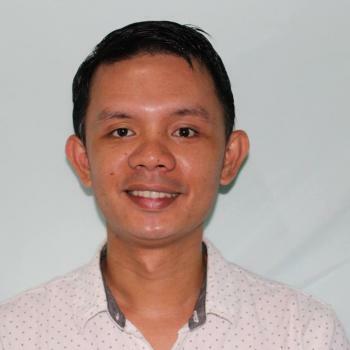 Teacher Gellegani got a Bachelor in Elementary Education, Major in General Education in Negros Oriental State University. He taught for almost 7 years in the field as a Classroom Teacher. He’s been teaching ESL Online lessons for almost 2 years now. His hobbies are playing piano, guitar, violin and singing video songs. He wants to become an ESL Tutor because he wants to share his knowledge in learning English as a Secondary Language. He is very passionate about teaching English. He is very flexible in handling different age levels. He’ll be best suited for Beginner and Intermediate Level Students.